One of the main appeals of getting off the grid is to live without limitations, right? 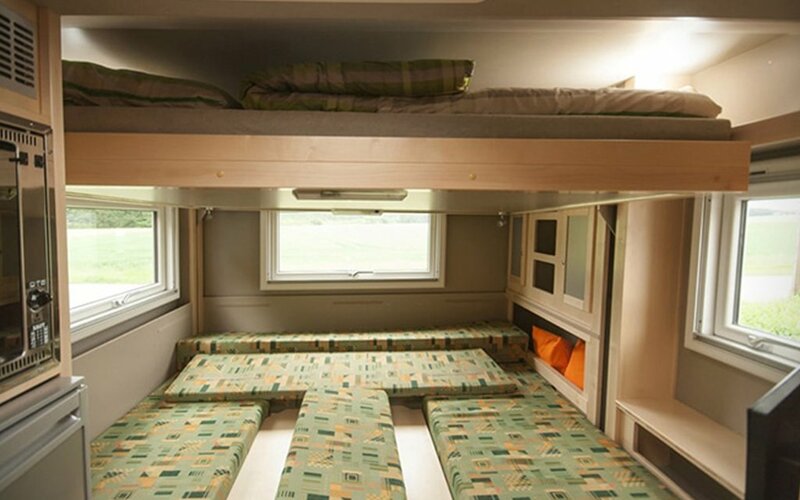 This fresh take on an “RV” — term used loosely — should definitely help address that. 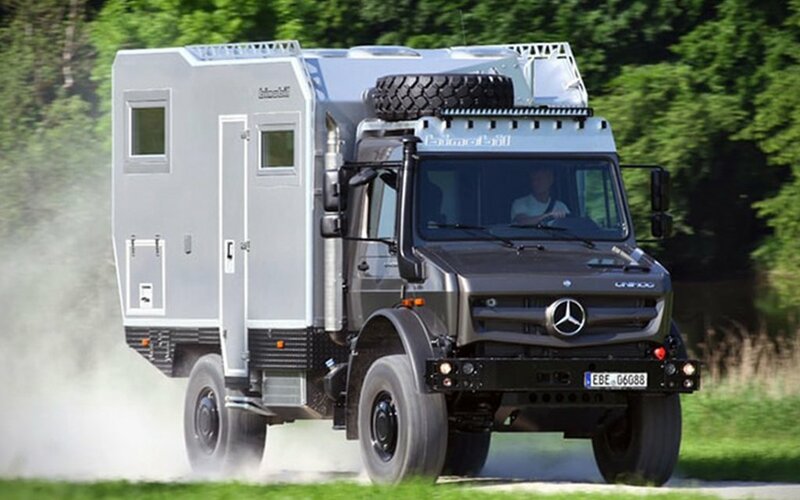 The amped-up Bimobil EX 435 adventure ride is an all-terrain brute of an RV. 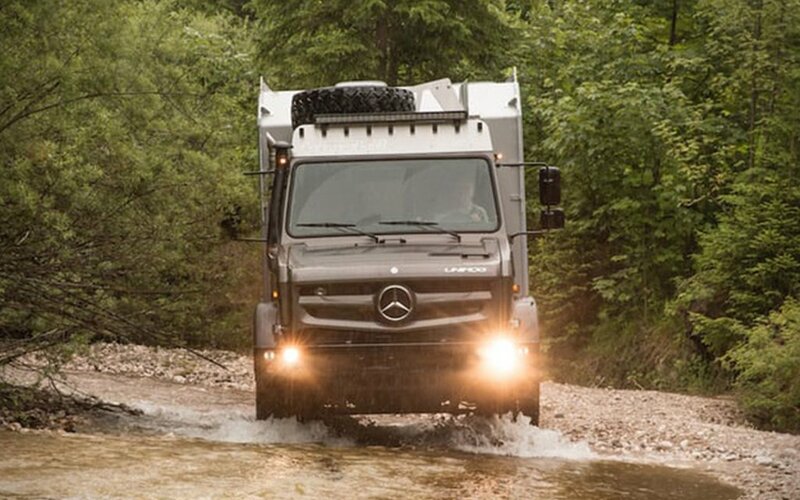 The Germany-based company surely injected steroids into a Mercedes Unimog to create this AWD mountain crusher. She’s packing a 231 horsepower engine and 664 lb-ft of torque. 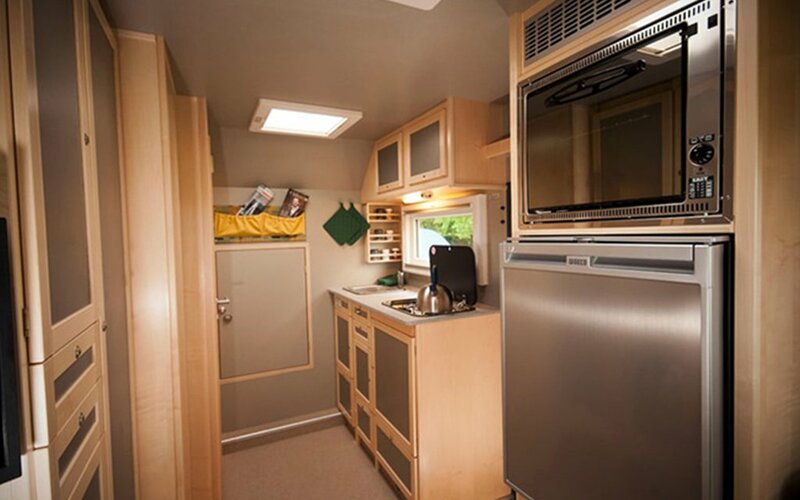 But like most tough guys, the Bimobil is a real softie on the inside, where you’ll find a water-resistant living space complete with kitchen, bathroom, dining area and loads of storage space, outlets and tanks for fresh and not-so-fresh water. And for a paltry $300,000, the beast is ready to help you heed the call of the wild.